This year the local teacher supply store where I have been buying the exact same lesson plan book year after year closed its doors. I had to hunt up a new plan book online. Luckily, I found the perfect replacement. I think I'm going to love it even more than the one I've used for years. Ta da! 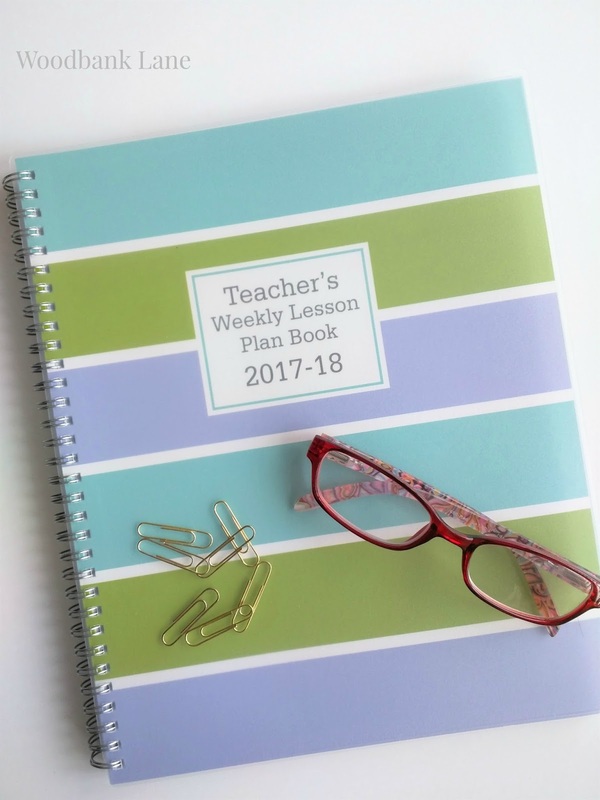 My new lesson plan book for the 2017-2018 school year from Blue Sky. It has a protective cover that's just thin enough to show off its fancy cover. It has the entire month at the beginning of each new month and this is what each week looks like. 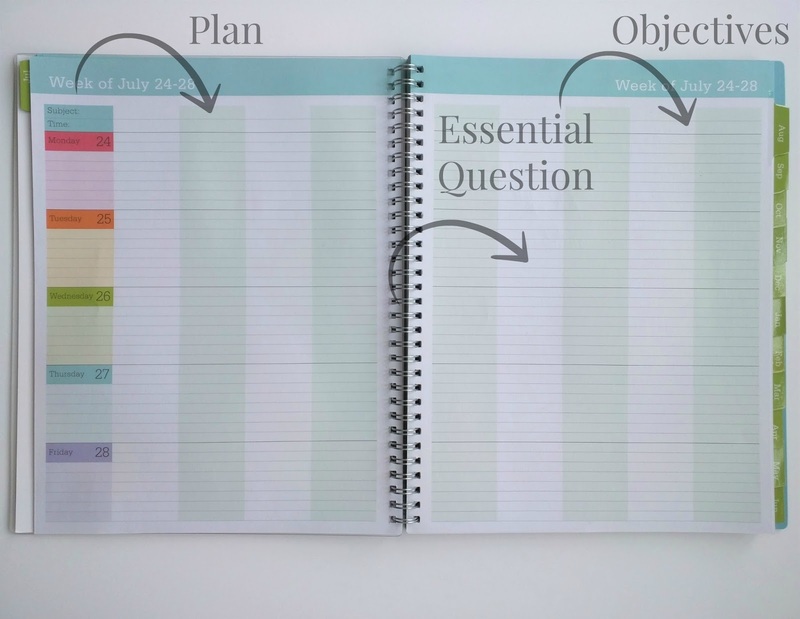 I'm only teaching one subject this year, so the page on the left will be for my plan and the page on the right will be for the daily essential question and the lesson objectives. It's a fairly simple lay out which is just what I wanted. 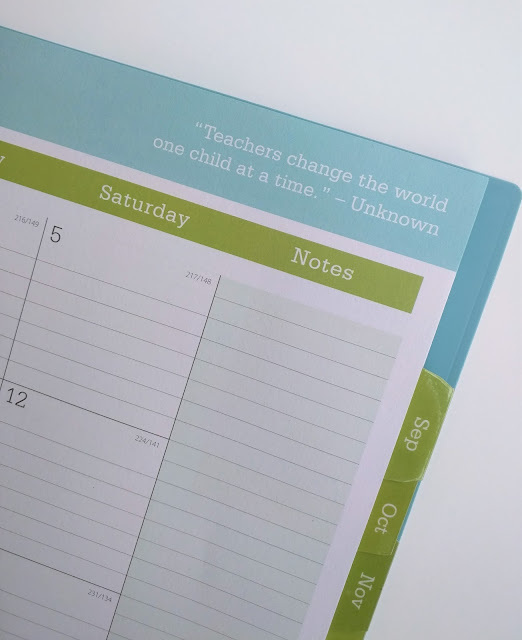 Each month-at-a-glance page also has a quote related to teaching. I always love these. 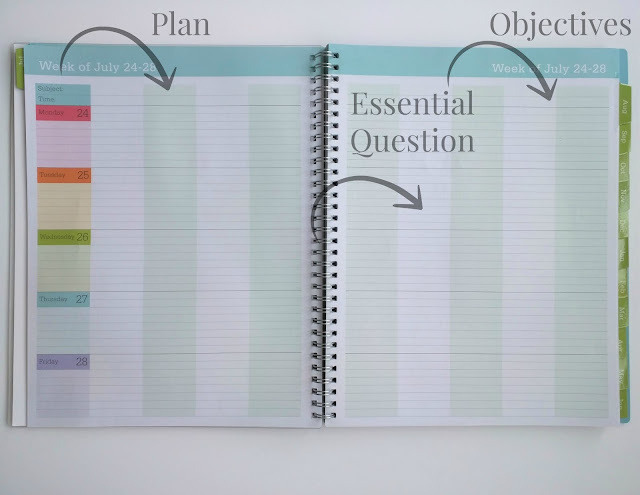 The feature I didn't have in my old plan book was the monthly tabs. I'm using and enjoying those already. Even if you're not a teacher, this would be a good resource for family planning as well. You can get the details or order one for yourself here from Amazon. Wish me luck as I start year 21!! I ordered mine tonight! I'm excited! :-) I love mine! You will too! 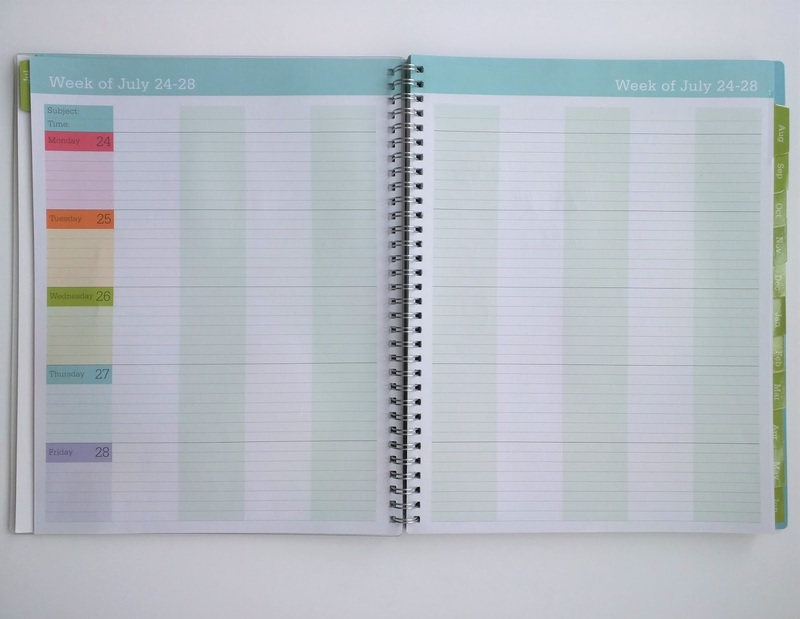 3rd year purchasing this planner- LOVE IT!!! I'm loving it too! Have a great school year!